Professor Morehouse teaches workshops in fiction and creative nonfiction with an emphasis on the lyric essay and on character. Her current project is a novel set in West Virginia where she grew up. Though fiction, it reflects her love of the environment and her interests in girls and women and women's writing. A former Chair of the Division of English, Professor Morehouse has served on numerous college committees, most notably the Assessment Committee and the Promotion and Tenure Committe for the College of Liberal Arts and Sciences, as well as committees on curricular transformation. 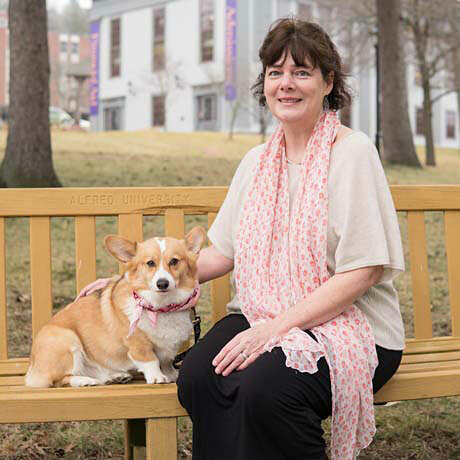 She teaches regularly in the First-Year Experience program for new students, and she is also the Director of the Creative Writing Institute for high school students, held in Alfred in late June.